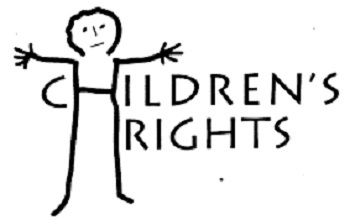 PORT OF SPAIN, Trinidad, Nov 21, CMC – The Children Authority of Trinidad and Tobago (CATT) says it has had to deal with more than 5,000 cases of sexual abuse and sexual offenses against children during the three and a half years of its establishment. CATT director, Safiya Noel said that more than 16,000 cases regarding children have come to its attention and that represents nearly 25 percent of the actual cases received by the authority. CATT, which came into operation in May 2015, following the proclamation of several pieces of legislation including the Children’s Authority Act, said to date, it has received 69,319 calls and now has before it 16,661 cases. “The number of reports of child sexual abuse and sexual offenses against children over the period amounts to 5,737 of total cases,” Noel said. “The main forms of abuse are firstly, neglect; physical abuse and some sexual abuse,” she said, adding “working with the family is a critical thing and we have found that in a lot of single parents there is where a lot of the neglect cases”. She said that parents themselves are either victims or victims of abuse and urged them to seek help and therapy. “Nothing is wrong with going for therapy. You don’t have to be crazy…some­times if you think about it think, about your own lives, you would recog­nise that there are sit­u­a­tions that you strug­gle to deal with and some­times you need some­body there to help you through the process,” Noel said. CATT chairman, Hanif Benjamin, said that a national protocol will be submitted to Cabinet for review and approval by mid-2019. He said the document will be rolled out as a national system where it will out­line responsibilities for all stakeholders.